In 1986, Geraldo Rivera opened Al Capone’s secret vault on live television, discovering only a bottle of moonshine. In other news of the day, Jim Ludvik joined the staff of The Denver Post. He immediately joined the Denver Newspaper Guild. A graduate of the University of Missouri school of journalism and the University of Denver law school, Jim is both an analytical thinker and a wordsmith. Both of those skills served him well in his career at the Post as he worked as a business editor then systems editor, aka “computer geek,” and during numerous contract negotiations. 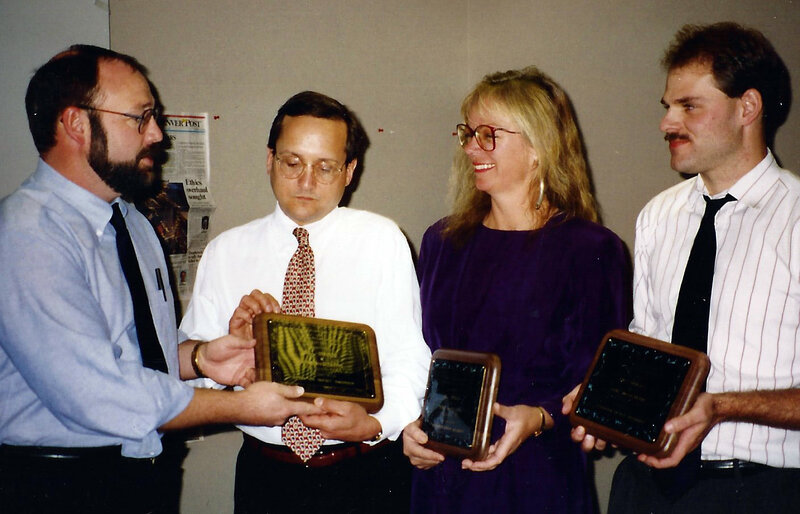 As systems editor, Jim was often one of the first people to meet new employees. Whether intern or editor, Jim treated all with equal respect, and his genuine friendliness and folksy manner put countless new staffers at ease on their first day on the job. Neither the Post nor the Guild could have asked for a better ambassador. 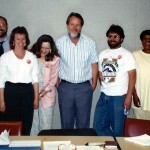 When Jim joined the Guild, the union was in the middle of long, drawn-out contract talks with the Post. One of the “new guys,” Jim participated in union actions that helped nail an agreement with 4 percent annual wage increases. 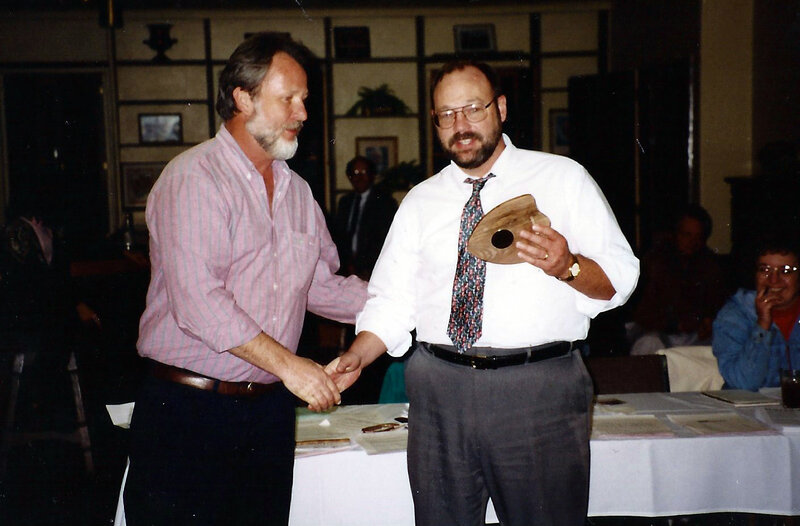 Jim Ludvik receives the Denver Newspaper Guild Volunteer Service Award from administrative officer Bruce Meachum. 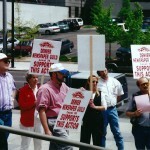 Denver Newspaper Guild members rally outside the Post at 1560 Broadway during the 1993-94 contract talks. 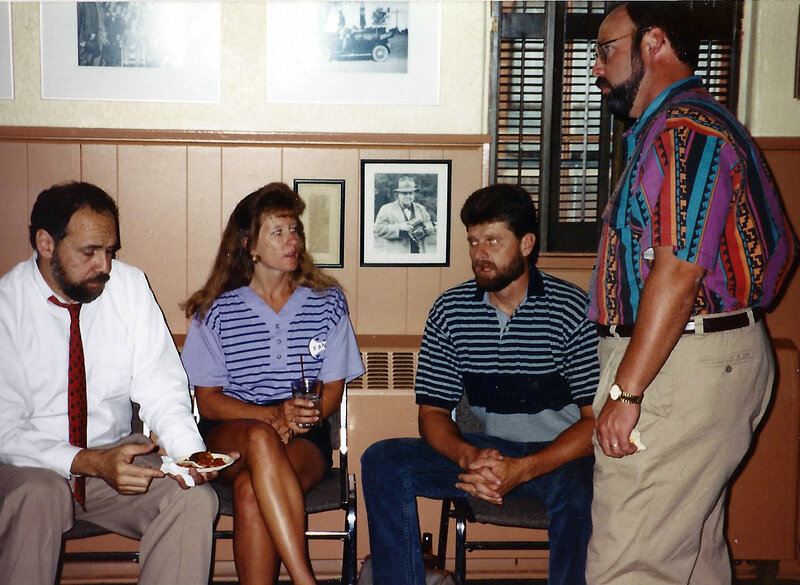 From left, Jeff Leib, Sherry Mulligan, Tony Mulligan and Jim Ludvik at the Denver Press Club for Judi Brimberg’s retirement party. 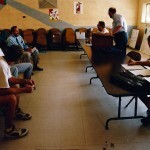 Denver Post unit members meet to ratify the contract in 1994. 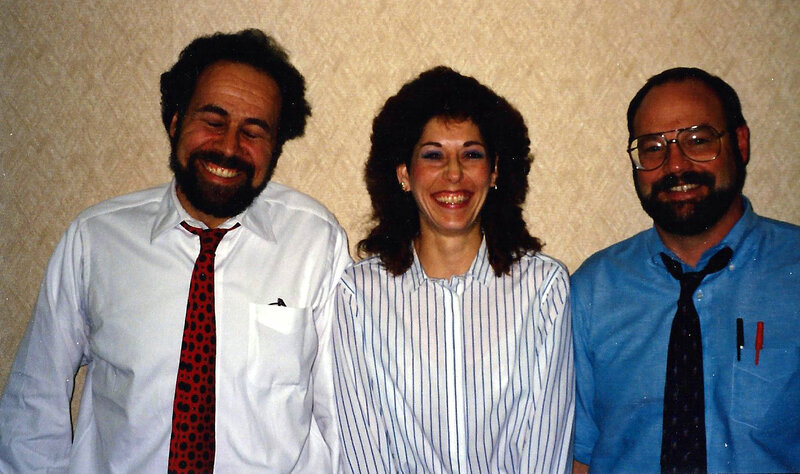 From left, Jeff Leib, unidentified and Jim Ludvik. 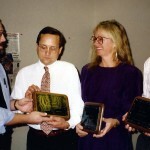 Jim Ludvik presents awards to Denver Newspaper Guild members. 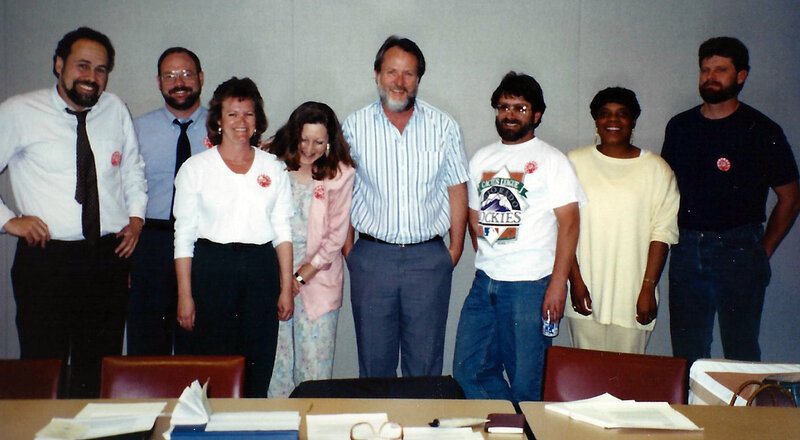 The Denver Newspaper Guild bargaining committee meets in 1993. 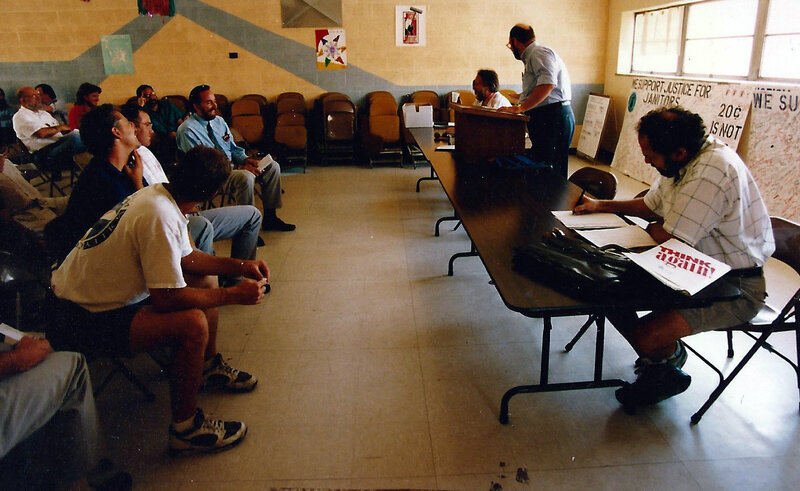 Over the next five years, Jim became a union steward, served on the local’s executive board, and was a member of the 1992 bargaining committee. 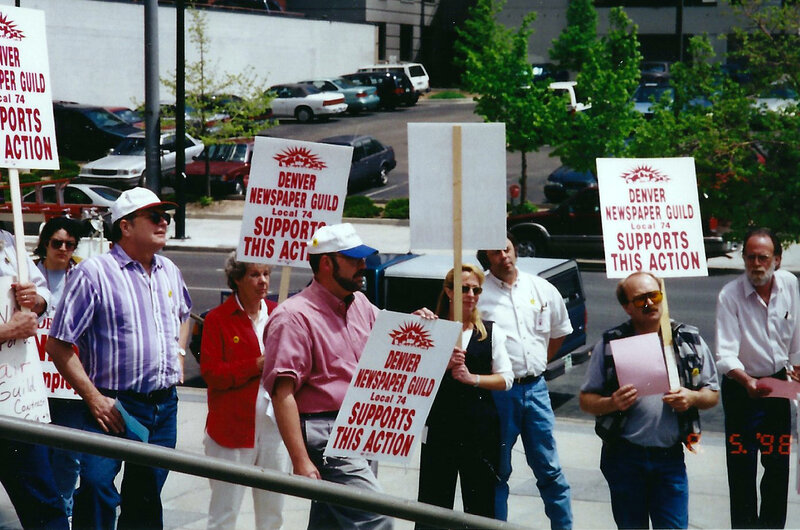 In 1993, Jim was elected chair of The Denver Post Unit, leading the year-long contract fight, including negotiations, rallies and other job actions that resulted in a four-year agreement with 3-4 percent annual raises. Jim has been a steward and has served on or advised every bargaining committee. As a steward, he stood ready to support his fellow Guild members, and at the bargaining table Jim never shied away from asking the tough questions and always strove to reach the fairest agreement possible. His institutional knowledge is irreplaceable, and his presence will be missed both at the bargaining table and in the newsroom. We wish Jim well as he heads into retirement, and it’s fitting that he will be leaning on benefits that are, in part, the fruits of his labor. 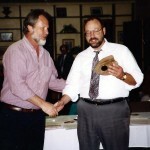 Jim’s commitment to the Denver Newspaper Guild, his fellow members and his 25 years of union activism is appreciated and respected. He will be missed by his Guild colleagues.